Note: potatoes can be boiled, in which case reserve the cooking water to use as the liquid. To make my mash I microwave 300g of potatoes, allow to cool slightly and peel with my fingers. This results in about 200g of mash. Rub potato into flour. Add salt, sugar, yeast and liquid. Knead until smooth and allow to rise in a warm place (with oiled cling-film on top to prevent a hard skin forming) for about 45 mins. Knock back by kneading thoroughly, place in an oiled loaf tin, and allow to rise again for 45 mins, as in step 1. Bake at 180°C for 30-40 mins. 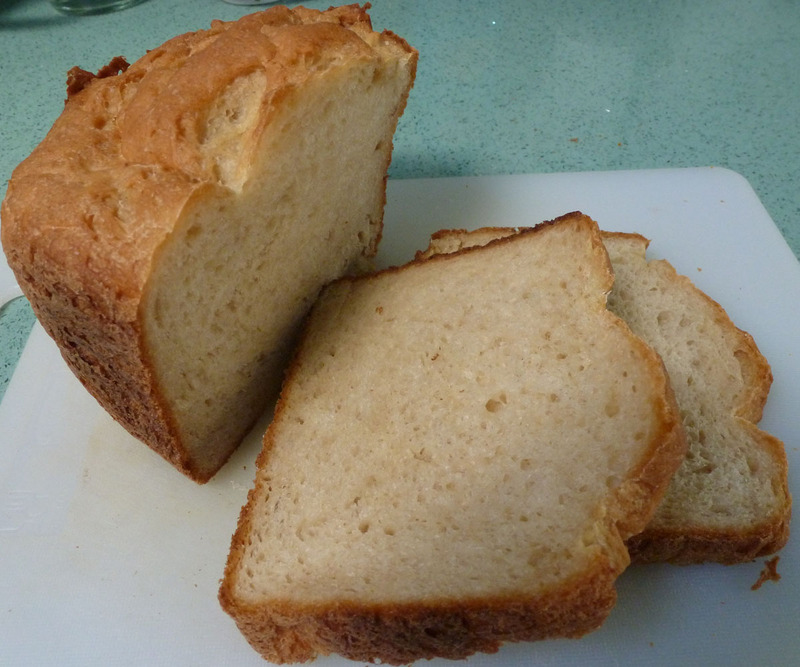 It is cooked when a hollow sound is produced when the bottom of the loaf is tapped. Alternatively, chuck all ingredients in a bread machine and bake as a normal loaf. Don’t worry that the amount of liquid is so small – approximately half the amount for a loaf this size – as liquid seems to come out of the potato as it is worked by kneading.